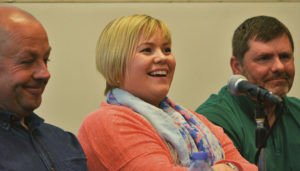 Sinn Féin MLA Emma Rogan was co-opted in to the South Down Assembly seat after the election of former minister Chris Hazzard to Westminster. 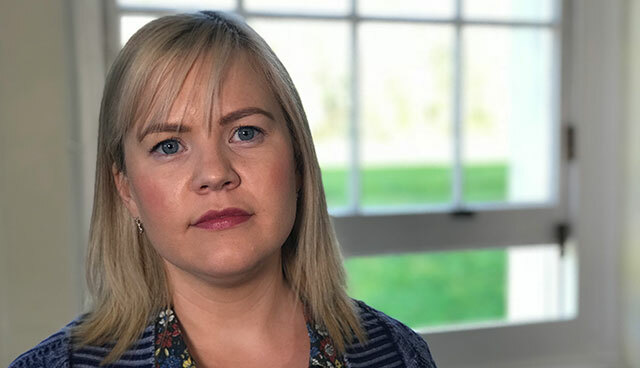 Rogan, whose father was murdered in the Loughinisland atrocity in 1994, when she was just eight-years-old, has been a high-profile victims’ campaigner. Outline your career to date? My background career wise is in finance and I worked for Ulster Bank for 12 years. Alongside this I have been actively campaigning with the Loughinisland Justice group and relatives for justice. What inspired you to get into politics? I have always had a keen interest in politics and would have made this my career at an earlier age, however, my campaigning for Loughinisland took me all over the world and I was not in a position to commit to a career in politics. With the publication of Dr Maguire’s Ombudsman Report last year, I felt it was the right time to channel my energies towards political activism. Without the support of our political representatives both locally and internationally, we would never have come as far with our quest for truth and I wanted to give something back and help other people. Who do you admire in politics or public life? I admire anyone who fights for the truth, justice and equality. In particular, I have great admiration for the late Martin McGuinness who, from very humble beginnings and with great dignity, worked tirelessly for peace in Ireland. What drew you to Sinn Féin? I have believed in the progressive socialist values and core republican values of equality, freedom and solidarity for all and in the aim of achieving an Ireland of equals. Sinn Féin were always there for us as a family and the justice group. Sinn Féin have been very supportive when others stayed silent. Sinn Féin openly support our campaign despite criticism from some which made our journey more difficult. What are your key priorities for your constituency? My key priorities are to be there for everyone who needs my help, to have an open-door policy for all constituents from all backgrounds and traditions and I believe that no problem is too small. In particular, I see great challenges around Tory welfare cuts which will be rolled out in my constituency early in spring 2018. I believe that the measure of any society is how they treat the most vulnerable and it is shameful that these Tory cuts are aimed at this section. My team have been working hard in the background to prepare to help our constituents deal with these changes and I will continue to campaign against Tory cuts and continue to fight for better health care provision and better infrastructure for ambulance service in South Down. Outside of work I enjoy Gaelic football and supporting Down. I enjoy spending time with my family and friends.